This Friday, Canadian duo Tennyson will celebrate the release of their newest EP Uh Oh! live at the Roxy. 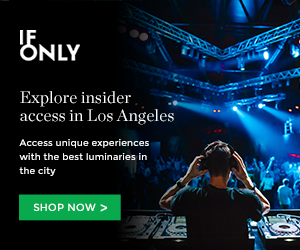 It’s possible their tour wasn’t deliberately going to stop in LA on the date of release, but accident or no, the party that night at this iconic venue is guaranteed to be wild. Listen to “Cry Bird” from the new EP, below. Luke and Tess are from Edmonton, a new hotbed for indie music in Alberta, Canada. Tess, the younger sibling fresh out of high school, handles the drum kit, while older brother Luke is the principal songwriter and vocalist. They’ve been making music under the moniker Tennyson for about five years, with soundscapes that grow more innovative as their career wears on. They recently signed to label OWSLA, joining the ranks of electronica artists such as Hundred Waters, Star Slinger, and even EDM strongholds like Marshmello and Skrillex himself. Three years ago, Tennyson put out a double-sided single “With You,” that challenged genre classification and pushed the boundaries of what playful techno could sound like. One could define it as a cross between Flying Lotus and Shugo Tokumaru, or the sonic equivalent of a warm sense of childlike wonder. Their 2015 Like What EP was another big step, including lyrics for the first time on several tracks. Luke’s voice is deep and sensitive, singing about love and other youthful concerns. What could have been a cheap ploy to appeal to a wider audience actually turns out to be equally as thoughtful as the engineering of their music, and proves that Tennyson still has much whimsy yet to shine through. Tennyson’s Uh Oh! EP will be out 9/29 on OWSLA. Grab tickets to their show at the Roxy that night here. See their full tour schedule here. For more information, follow the band on Facebook or Twitter (Luke is @tennysonmusic and Tess is @texxyson). This entry was posted in Best Concerts This Month, Recommended and tagged dance, electronic, roxy, show preview, Tennyson on September 25, 2017 by Zoe Elaine.